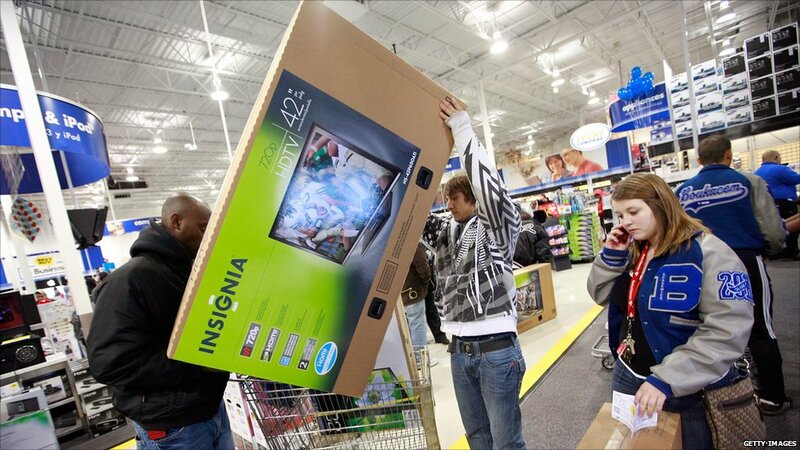 Black Friday, the day after the Thanksgiving holiday, is usually the busiest shopping day of the year in the US. 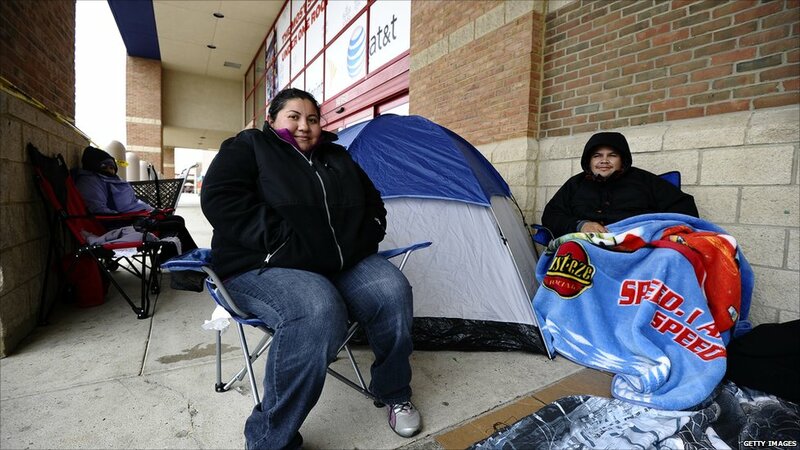 Some shoppers camped out to make sure they were first for a bargain. 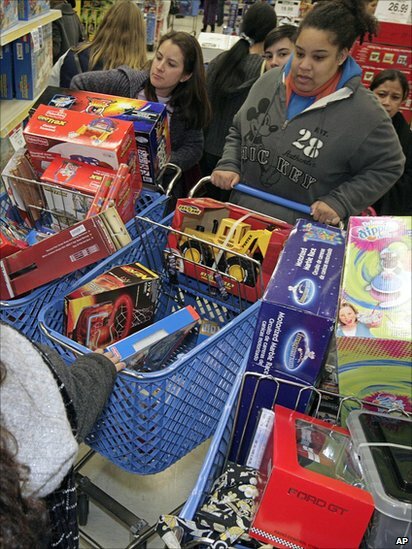 Others queued for hours to ensure they were in pole position for the best bargains. 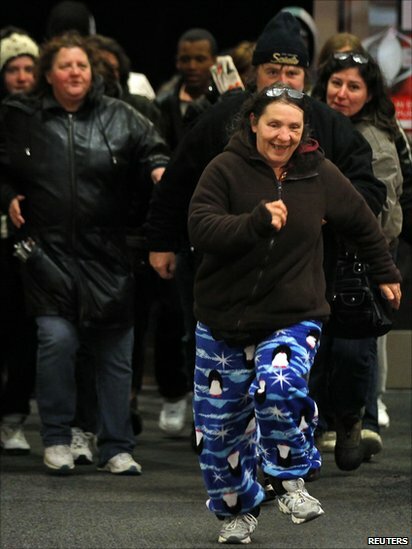 As the doors opened, some people didn't waste any time. 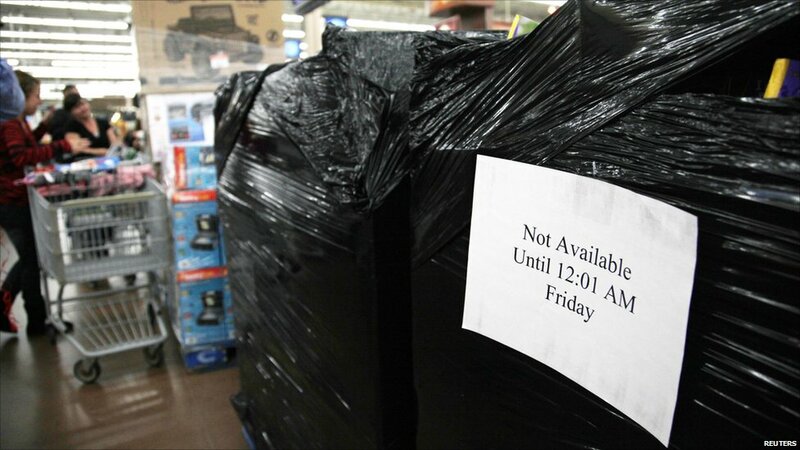 Known as Black Friday because it is typically when retailers move from the red into the black, or into profit, the day is traditionally the start of the Christmas shopping season. 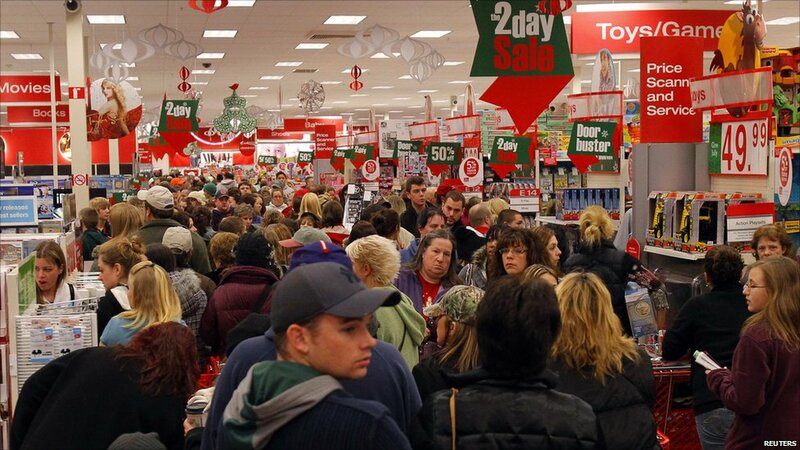 As the day after Thanksgiving is a public holiday in the US, more crowds than normal are filling the stores. Some sale items are only available for a limited time, but the discounts can be huge on this day. 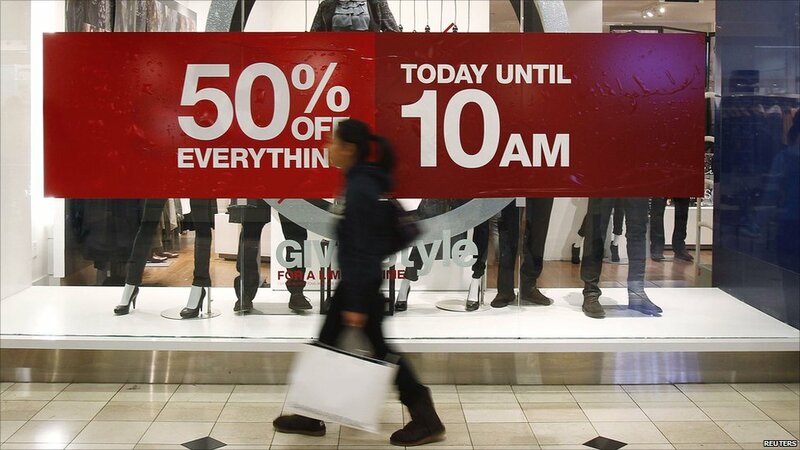 Consumer spending accounts for about 70% of the US economy, so activity on Black Friday is watched closely by economists. 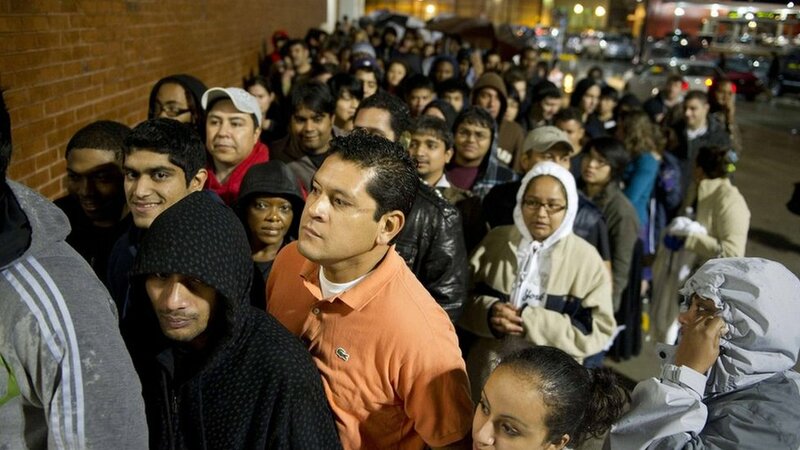 The National Retail Federation in the US forecasts that up to 138 million people will be shopping in the country this weekend.